You’ve just realised that custom magnets will last longer, can contain the same information and be the same size as a business card... so how can you utilise this wonderfully inexpensive, long lasting, promotional marketing tool that will be kept and seen for ages, to increase your business turn over and sales? All the above ideas encourage your potential/acquired customer to retain their magnet and attach it in a safe place for easy retrieval. 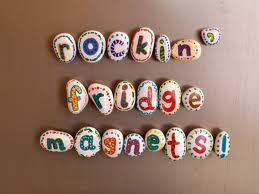 (Most people attach it to their fridge or their filing cabinet!) This, in turn, adds to increased sales, generates company awareness and creates repeat customer business. Another idea is to encourage clients to keep the magnet handy by making it the place to go to for a variety of other information. As a suggestion, combine the magnet with a list of emergency telephone numbers so it becomes a household information centre with your logo prominent of course. Other useful information for the householder would include lists of other local businesses that might be compatible with yours, school holiday dates and calendars. Many businesses like to associate themselves with local events, clubs and sporting teams. You will find that most local organisations will be happy for their names and contact numbers to be included with your own publicity – particularly if you sponsor their club or team. Getting your message to stand out in the crowded marketing world has become quite a challenge over the years. However a uniquely designed and functional custom magnet can be extremely cost effective in the long term and a powerful marketing tool. With a one-off payment your custom magnet will get you continued exposure and repeat business, reinforce your marketing message, and all with less waste as magnets tend to be kept due to their versatility. They can also be inexpensively distributed by handing them out at exhibitions, in your shop, or placed randomly on items such as post boxes and of course by direct mail. I recently heard of a business person who attached their magnet to the petrol bowser they were using. On asking the service station as to how often the bowsers were cleaned – the answer was “once a week”. That magnet had a 1 week life with hundreds of people seeing it! So no matter what your message is or what promotional idea you have, just remember that custom fridge magnets are a powerful marketing tool because customers see them as popular, interesting, value-add, decorative, removable, useful and collectable.